880 pages, including 16 pages of amazing photographs, many published for the first time. Includes reminiscences from key members of The Magic Band and The Mothers Of Invention. 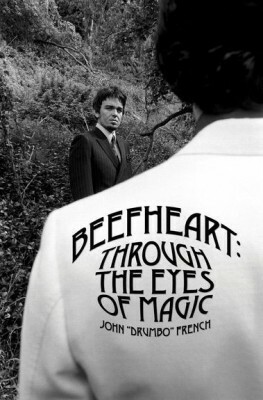 John French is better qualified than anyone to talk about Beefheart, joining the Magic Band in 1966 at the age of 17 just before recording their *Safe As Milk *debut album, finding himself plunged into a tyrannical regime which would dominate his life for the next 14 years as he played a major role in eight subsequent albums, including translating the mindblowing avant-blues assault of 1969’s *Trout Mask Replica *into readable music for the Magic Band from the Captain’s piano poundings under torturous conditions he likens to a cult. Also check out John’s blog for some more tantalising extracts. I haven't been this excited since Ice Cream!